Doctor Cara Irwine graduated the College of Medicine at Florida State University in 2010. She completed an internship in internal medicine and a residency in radiology, both at Ochsner Clinic Foundation A fellowship in neuroradiology at University Alabama in Birmingham followed. 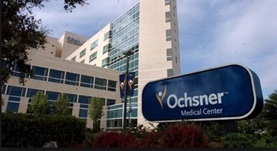 She is board certified in radiology and diagnostic radiology and is affiliated with Ochsner Medical Center in Kenner, Louisiana. Dr. Cara Irwine has contributed to 1 publications. Renal artery embolization for the treatment of renal artery pseudoaneurysm following partial nephrectomy. Irwine C Kay D Kirsch D Milburn JM; Ochsner J. 2013 Summer .